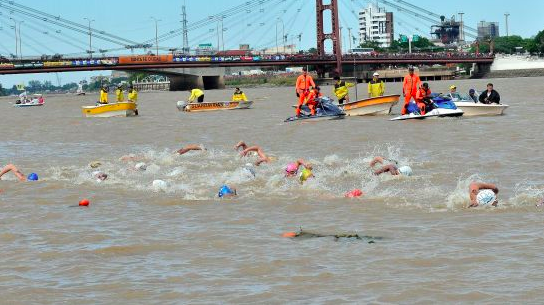 26 swimmers from 9 countries will participate in the 57 km Maratón Acuática Internacional Santa Fe - Coronda in Argentina as part of the FINA UltraMarathon Swim Series. 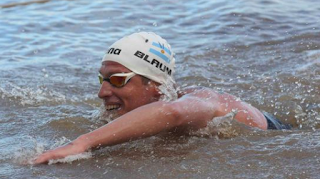 Damián Blaum will be back to defend his title and will face the 2017 FINA Open Water Swimming Grand Prix winners Guillermo Bértola and Macedonian Evgenij Pop Acev. Italian Barbara Pozzobón is the heavy favorite to win. She is not only the defending champion, but also overwhelming the 2017 FINA Open Water Swimming Grand Prix winner. But she will face tough competition from her Italian teammates Ilaria Raimondi and Alice Franco, and the Argentines Cecilia Biagioli and Pilar Geijo. 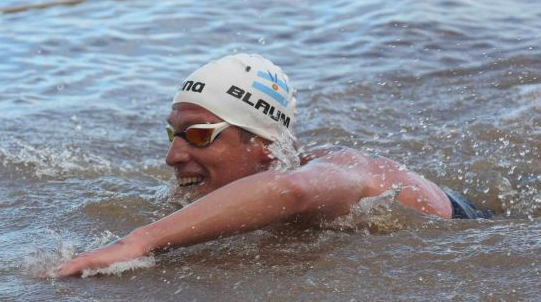 36-year-old Blaum will swim for the 15th time in the Santa Fe - Coronda. The wife of his first daughter, Esther Núñez, serves as his coach. "I prepared very well for this race. Our preparation was quite different from other years since our baby girl, Gala, was born, and it was something beautiful that we were waiting for and wishing, that does not compare with anything." 2017 was quite a year for Blaum who became a father and won his first Santa Fe - Coronda race on February 5th. "All the planets were aligned in my favor, the river was super complicated and that played in my favor. I was able to make a good starting difference and, although it was difficult to sustain it, it was already an almost indescribable difference. It was a demonstration to myself, that in spite of the age, I am still working with the same enthusiasm and desire. After the Santa Fe - Coronda race, I plan to cross the 42 km Rio de la Plata." After that solo crossing, he will have to review his future plans because the FINA UltraMarathon Swim Series is rapidly shrinking. "[Professional marathon] swimming is not what it used to be. 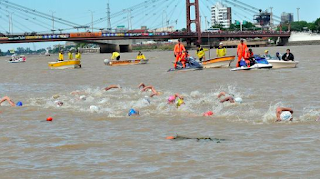 The FINA Grand Prix (now called UltraMarathon Swim Series) is on the way to extinction and the Santa Fe - Coronda can still be maintained for what it represents, because it is one of the most traditional competitions in the history of open water."